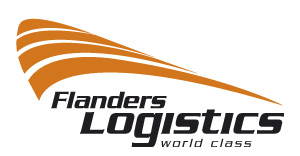 Flanders Logistics is a strategic project of the Flemish government and the logistics sector. Together they want to secure the unique position of Flanders for the future, with emphasis on sustainable development. Flanders Logistics is part of the theme 'Flanders as the gateway of Europe ", which in turn is part of "Flanders in Action", the socio-economic ambiteus impulse programm of the Flemish Government. The information is only available in Dutch.